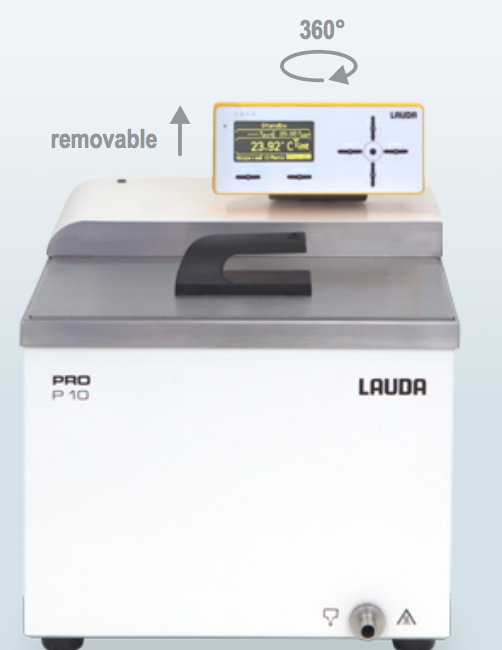 The PRO heating bath thermostats P 10, P 20 and P 30 work up to a maximum temperature of 250 °C. The thermostats, having volumes of 10, 20 and 30 liters, are optimized for internal bath applications and offer excellent temperature stability. The removable operating unit, including mount, allows considerable reduction in the height of device.